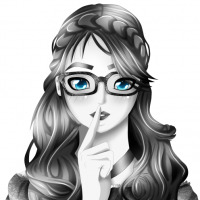 So you have reduced your UI in Firefox to regain more screen real-estate but have a lot of bookmarks in your Bookmarks Toolbar that you use every day. 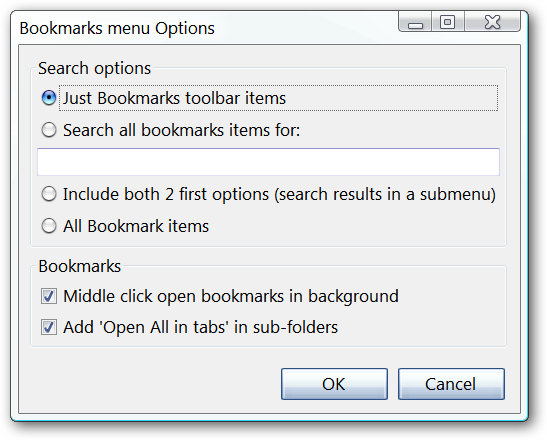 Learn how to reduce that toolbar to an extremely convenient toolbar button using the Bookmarks Menu extension. Here is our example browser with a somewhat minimalized UI…not too bad but it could certainly be reduced further. 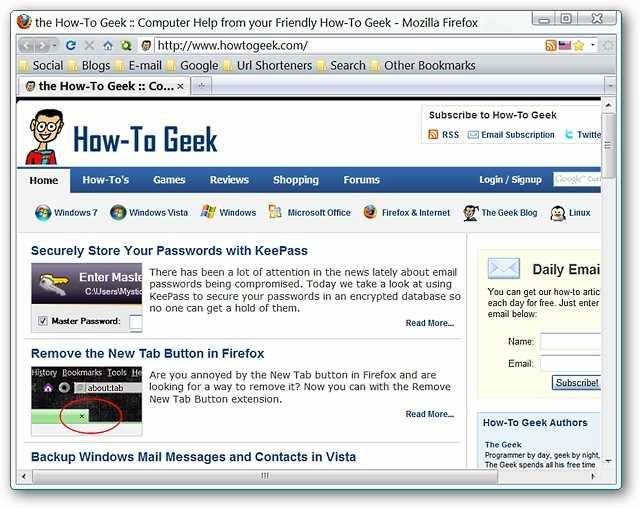 Before you install the extension you should go ahead and hide your “Bookmarks Toolbar”. 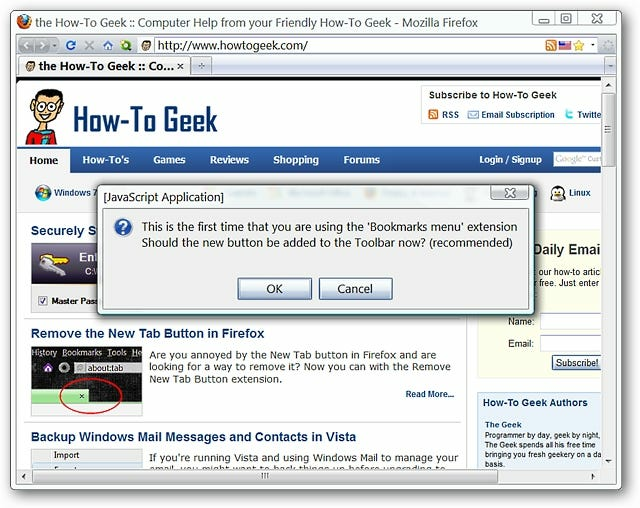 As soon as you have installed the extension and restarted Firefox you will see the following message window. Click “OK” to get that wonderful button added to your “Navigation Toolbar”. Now that is definitely looking better…all of that bookmark goodness in one little button! The options for the extension are easy to sort through…decide how you would like to handle searches, middle clicking on bookmarks, and the “Open All in tabs” option. 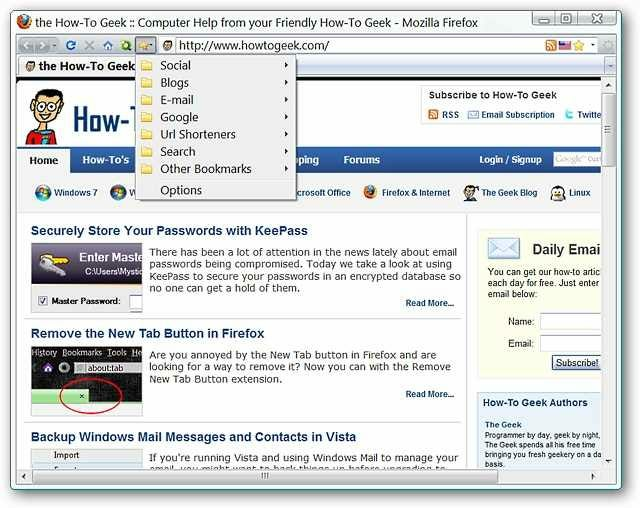 If you have been looking for a way to further reduce your UI in Firefox and yet retain easy access to all your bookmarks in the Bookmarks Toolbar, then the Bookmarks Menu extension will be a perfect fit for you.